QUEENSLAND members of a Catholic women’s organisation have pledged financial support to refuge shelters caring for homeless mothers and children across the state. 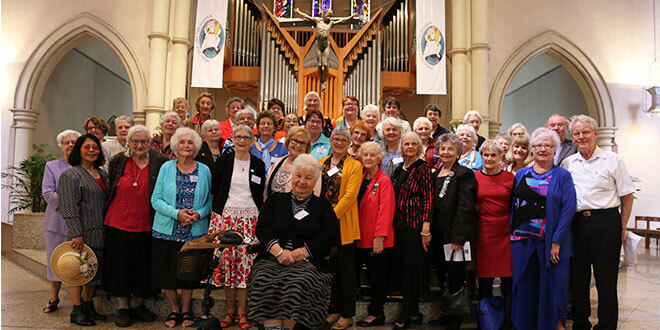 The canonically approved Catholic Women’s League of Queensland announced at its recent state conference its three member dioceses would raise funds for a local refuge supporting homeless mothers and children. Queensland state president Veronica Box expected members in Brisbane archdiocese to raise at least $2500 for Good Samaritan Housing over the next two years. “It’s not much in the big scheme but it’s enough to give them the extras that make a difference,” Mrs Box said. She said the idea to support a refuge in each member diocese came from a talk by Good Samaritan Housing board member Rose Kelly during the conference. “We thought with domestic violence at the top of the list of concerns, we know there are women who have to walk out of home,” Mrs Box said. She said members of the Townsville and Rockhampton dioceses were still deciding which refuge to support. The Catholic Women’s League of Australia, which represents groups from six states across Australia, is a member of the World Union of Catholic Women’s Organisations. It is the only canonically approved Catholic women’s organisation in the world, set up in 2006 by the Holy See as a Public International Association of the Faithful. Australia is part of the Asia-Pacific WUCWO region representing countries between Lebanon and the Hawaiian Islands. Mrs Box said despite the CWL being in Australia for more than 100 years, the “girls” were still “a bit of a secret” to the wider Church. “But we don’t want to be a secret,” she said. National CWL president Anne Marie Clark said in her conference address members were not “those Catholic ladies who do the cup of tea a lot of times”. Mrs Clark said the CWL was at the forefront of defending vulnerable elderly pressured to support euthanasia, traditional marriage and most recently the unborn. CWL Queensland with support from national staff including bioethicist Dr Deidre Little, known for uncovering severe physical side effects of a cervical cancer vaccine, formed a submission debunking a bill to make abortion legal in the state. “We need to remember that we are women of a Catholic faith (and that) is what drives us together,” Mrs Clark said. Interest from younger members was growing among the CWL of Australia and more were encouraged to join. For more information about CWL Queensland contact Veronica Box on (07) 5437 6909.